LOS ANGELES -- A visibly nervous Cardi B has won her first Grammy, making history as the first woman to win best rap album. Cardi B's "Invasion of Privacy" beat out albums by the late Mac Miller, Nipsey Hussle, Pusha T and Travis Scott. 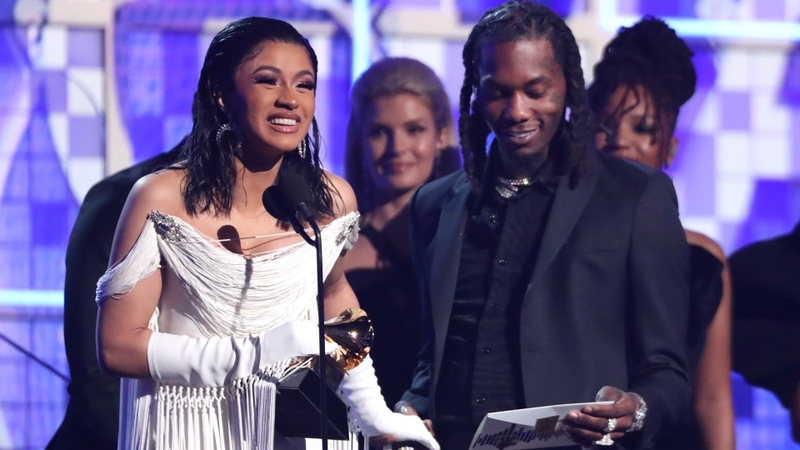 Holding the trophy in her white-gloved hands, Cardi B thanked Offset, calling him "you husband," and their daughter, who was born seven months to the date. Cardi B twerked on a piano during her performance earlier in the show.